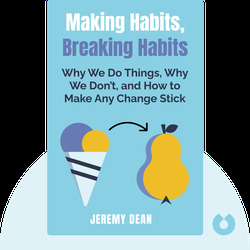 Making Habits, Breaking Habits (2013) provides an overview of exactly what habits are and how we form them. 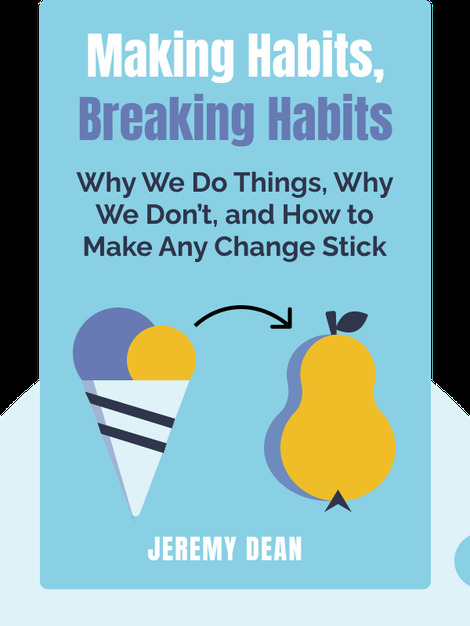 Using this knowledge, it reveals how to create healthy habits and tackle the bad ones so that we can experience lasting, positive change in our everyday lives. Jeremy Dean is a psychologist and the founder of the immensely popular PsyBlog, a website dedicated to scientific research into how the mind works. PsyBlog has been cited in such media outlets as The Guardian, The New York Times and Wired.